This highly sensitive “Bone Vibration Microphone” is the perfect solution for any disguised communication. It is the only system available with a wireless push-to-talk button (PTT). 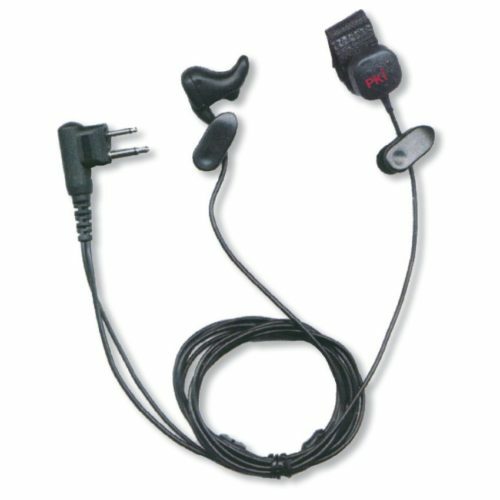 This unique system consists of a bonemicrophone, an inductive loop, a wireless push-to-talk button and a wireless ear-piece. The complete set can be connected to any mobile phone, monitoring receiver or commercial transceiver (walkie-talkie). For assembling the system with the correct connector, we only need to know the type of communication system to which the PKI 2435 should be adapted. For any special application the different connecting plugs are available. For any further technical details please contact us with your special request and we shall immediately give you our personally tailored proposal according to your specific requirement.